Sacred Heart University was founded in 1963 by Walter W. Curtis, Bishop of the Diocese of Bridgeport, CT. In 2006, the university’s College of Business was named in honor of former General Electric Chairman and CEO John Francis “Jack” Welch Jr. Ten years later, in 2016, the John F. Welch College of Business was renamed as the Jack Welch College of Business. Among an elite membership of fewer than five percent of business schools worldwide, Sacred Heart University’s Jack Welch College of Business is accredited by AACSB International, the premier global accrediting body for schools of business degree. 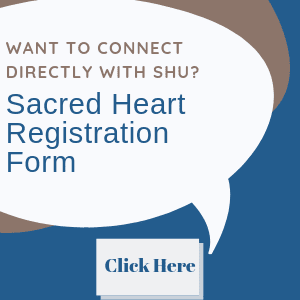 Sacred Heart University offers the Welch MBA in Fairfield, Connecticut as well as the only US accredited MBA program in Luxembourg. Sacred Heart University’s program offers you the right amount of flexibility and convenience to help you accomplish your graduate goals. Business courses at the Sacred Heart University Jack Welch College of Business are primarily provided at three locations: Fairfield, Connecticut, the home of Sacred Heart University; Stamford, Connecticut; and the Luxembourg campus. Classes are also available online. Business school students at Sacred Heart University will take courses in the new Martire Business and Communications Center. Amenities in the brand new building will include case study and seminar rooms, as well as student organization rooms, and classrooms integrated with state-of-the-art media installations. More than 50 faculty members teach undergraduate and graduate courses at the Sacred Heart University Jack Welch College of Business. Over 2000 total students are enrolled in the Jack Welch College of Business, with 100 enrolled in both the full-time and part-time MBA programs. About 39 percent of the current Jack Welch College of Business MBA Class are women. Students have the option to enroll in the school’s full-time or part-time MBA program, as well as a Master’s in Science, Accounting, Digital Marketing, Finance and Investment Management, or Human Resources Management. 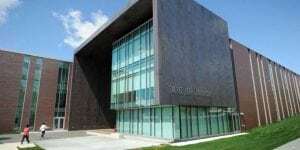 In addition, the Jack Welch College of Business offers a Doctorate of Business Administration in Finance.